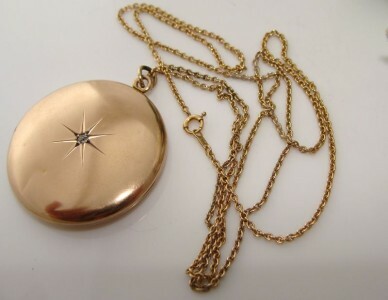 The use of stars to decorate jewellery was popular in the late 1800s/early 1900s due to the curiosity surrounding astronomy. They represent happiness and longevity. 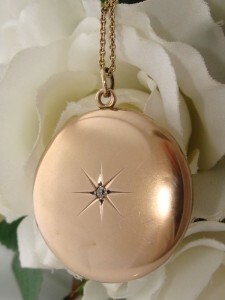 This is an Absolutely Superb High Quality Antique Locket - it is Simply Beautiful and no pictures will ever do it justice. 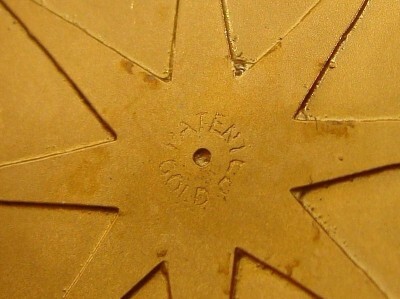 While it lacks a true hallmark, it is stamped inside "GOLD" and tests as 14 carat/karat gold. 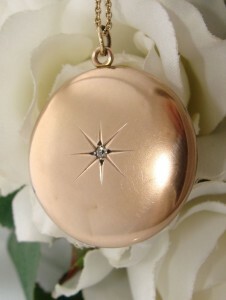 It features a Genuine Diamond elegantly set within a "gypsy” or star-setting. 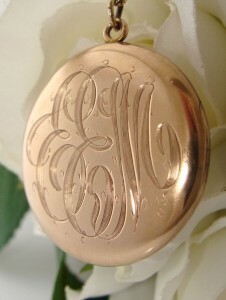 The back features a monogram - EEM - which was typical of lockets at this time. Inside you will find the original frames ready to secure a picture or mementoes of loved ones and the stamping, "GOLD PATENTED". The patent would be for the disguised/hidden hinge. The hinge & clasp are in perfect good order with a fingernail tab to assist in opening. 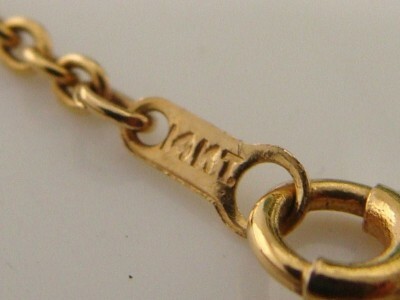 Included is a 14ct/14K gold necklace - stamped - which I believe may not be the original. It has that silky smooth associated with solid carat gold and expected of quality antique/vintage jewellery. 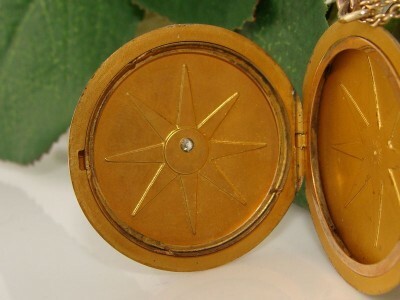 It has a warm Antique yellow gold hue. Trademark & Maker: none noted but similar in styling to those produced by Wightman and Hough Company which originated in the 19th century & ceased production in the 1920s. They were well known for specialising in the production of gold, gold filled & sterling silver jewellery. 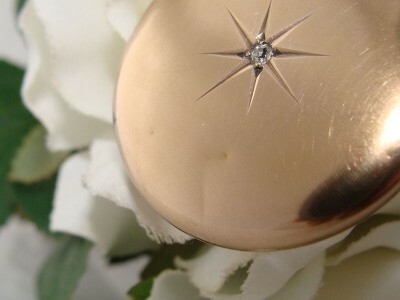 Material: 14ct / 14K Gold - unmarked but tested and Guaranteed! Necklace: about 60cm or 23.75"
Near MINT Antique condition! There is no wear, damage or repairs just some teeny dints and a line-like impression to the front I've tried to pick up in the photos. It presents as having had little if any use and is just fabulous for around 100 years old. You will be thrilled with this heirloom quality purchase, just perfect to add a picture of a loved one to wear close to your heart!